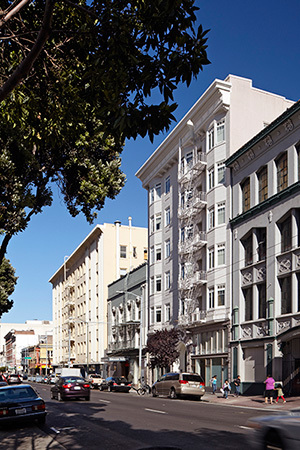 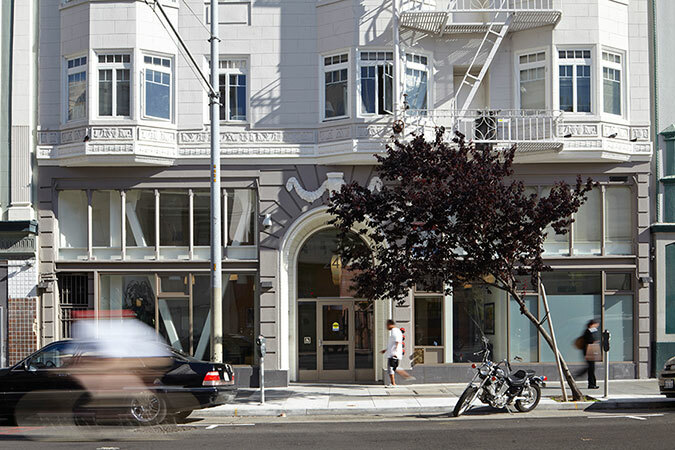 Our renovation of two apartment buildings at 249 Eddy Street and 165 Turk Street was executed in three contiguous phases to allow residents to remain in their units during construction. 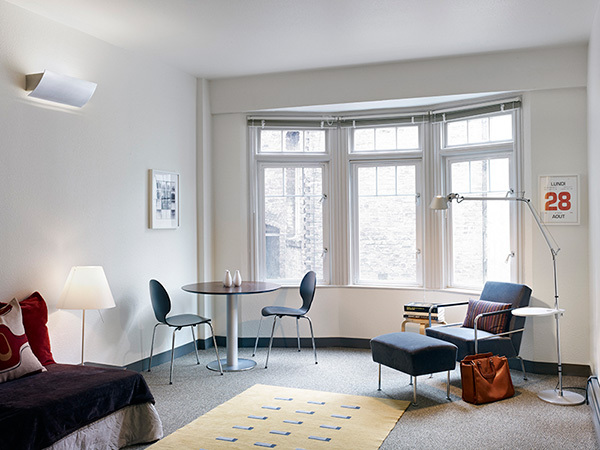 We began by carrying out a detailed site survey of the concrete and wood buildings to assist our client in determining the project’s scope of work. 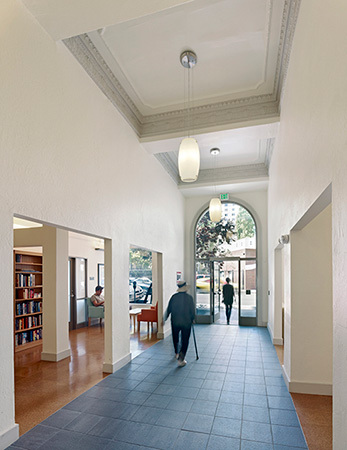 The project included accessibility upgrades to units and common areas, a voluntary seismic retrofit, and finish upgrades. 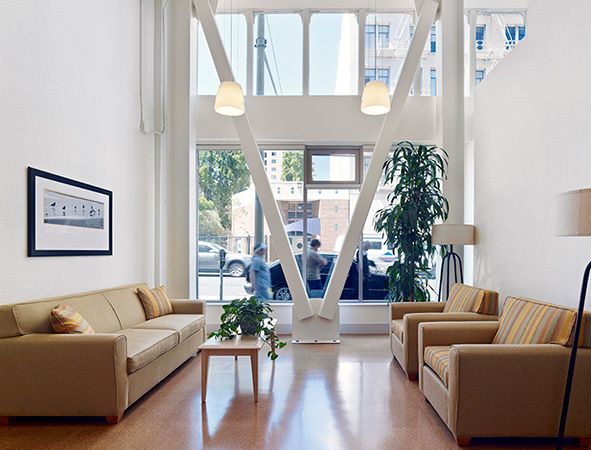 Our design solution grouped common elements such as mailboxes, laundry, tenant services, and a community room together near the entry to access daylight and encourage interactions between the tenants. 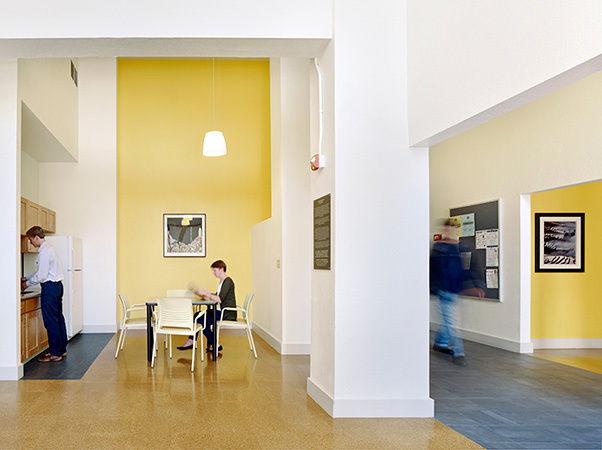 We selected finishes that were economical, attractive and durable, and also to meet U.S. Green Building standards. 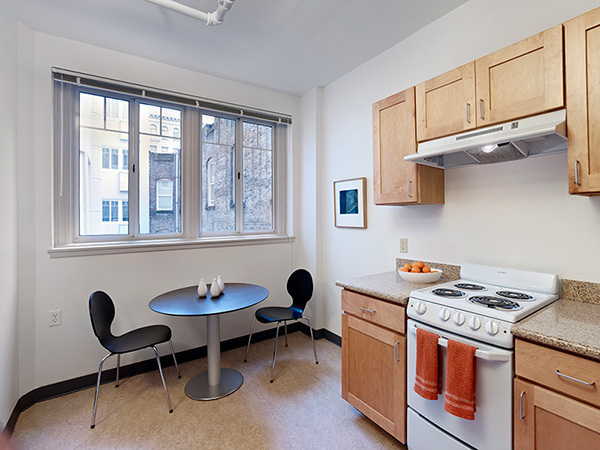 As the project contained a significant senior population, we paid particular care to specifying low VOC products in the interest of indoor air quality.